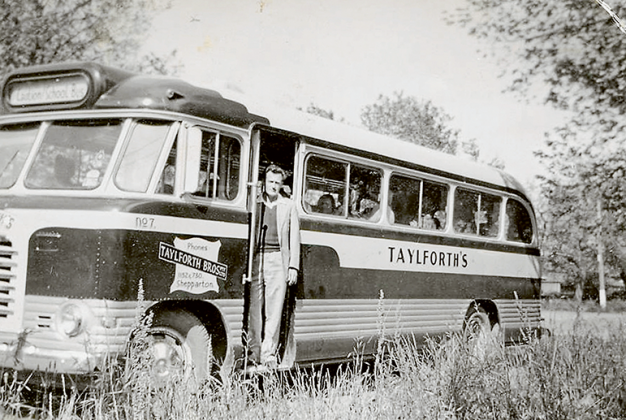 TAYLFORTH BUS... Taken in 1959, the image features driver Nev Doyle transporting the Shepparton Youth Club marching girls to a competition. Photo: Lost Shepparton. HALL’S BUS SERVICE... Year 1988. Photo: Lost Shepparton. 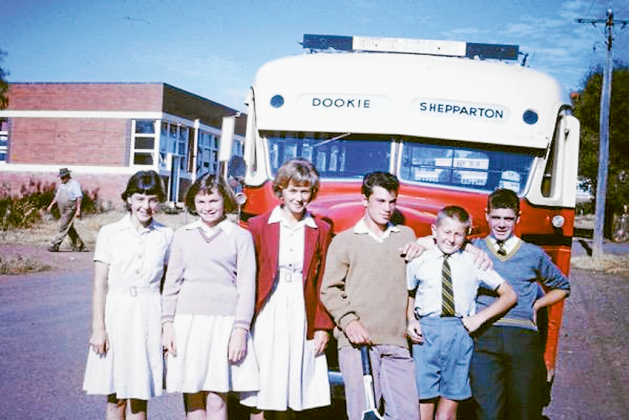 DOOKIE – SHEPPARTON BUS... Taken in 1962. 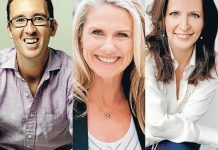 From left, Karen Kerlin, Jenny Callander, Maria Kesckes, Ricky Bevis, Frank Kesckes, Michael Kerlin. Photo: Lost Shepparton / Jim Scott. 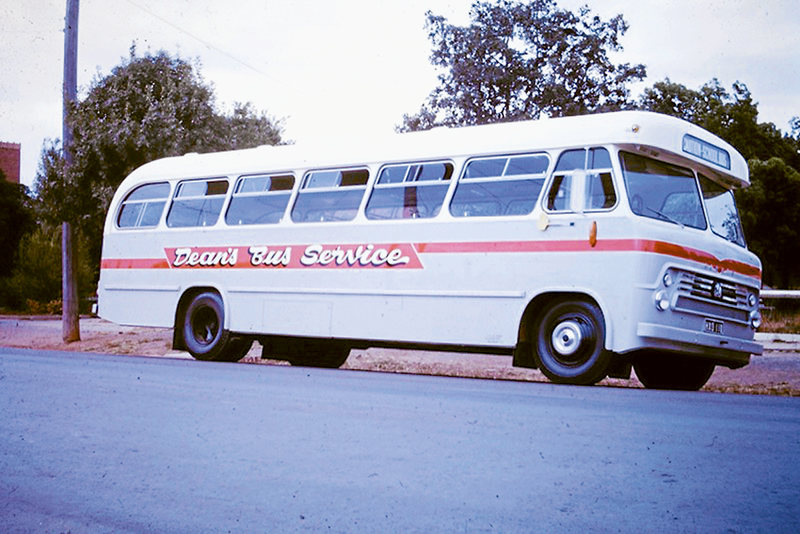 DEANS BUS SERVICE... Year unknown. Photo: Lost Shepparton / Jim Scott. WITH children returning to school this month, we thought we’d wind the clock and travel via bus to Shepparton’s glorious public transport past. 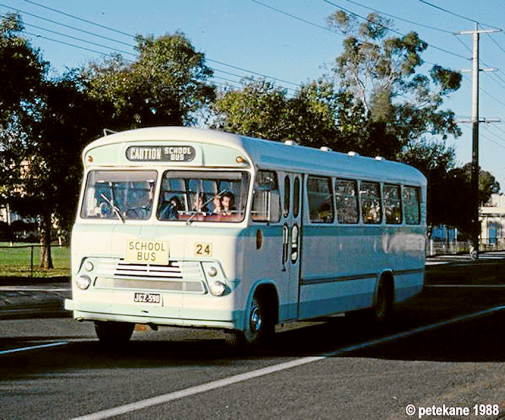 Shepparton has had many iconic bus services and memorable drivers operate throughout the region over the years. These old buses would certainly be lacking in many of the comfort and safety features of today’s current fleets, however something about the design of these old vehicles would certainly turn heads and put smiles on many faces if spotted around town today. 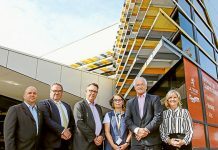 Thank you to the hard working historians at Lost Shepparton and Shepparton Heritage Centre for assisting with this piece. Please drop in to the Shepparton Heritage Centre at 154 Welsford Street, Shepparton, or give Lost Shepparton’s Facebook page a visit at @lostshepparton to view many more classic shots from the regions past.